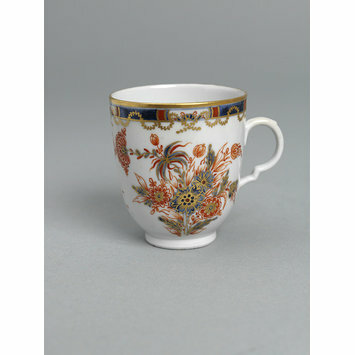 Coffee cup of hard-paste porcelain painted with underglaze blue and over-glaze with red and gilded, with the Imari palette. Round the top is a narrow panelled border in blue and red with gilt festoons dependent from it. Below, on one side, is a bunch of flowers, and on the other, growing plants. 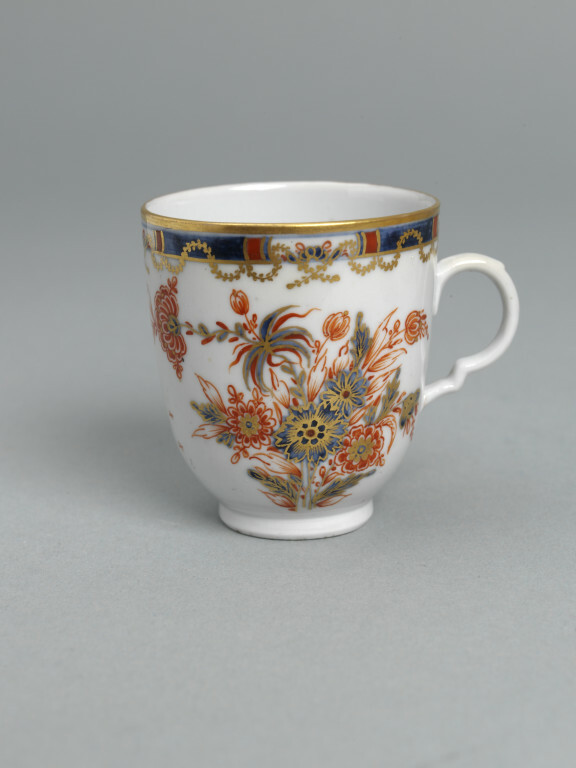 Cup of hard-paste porcelain painted with enamels, Doccia porcelain factory, Doccia, late 18th century.